I like dressing my 2-year-old daughter, Ava in fun clothing. She is a true girly girl, she loves bright colors and sparkly pieces that show off her personality. Her favourite accessory to any outfit is a cute pair of shoes. 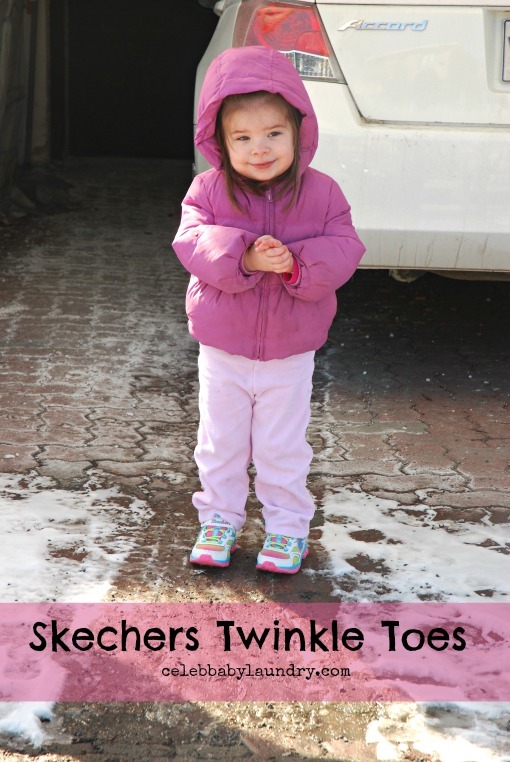 That’s why I love the line of Twinkle Toes from Skechers. These stylish sneakers first caught my eye while at a restaurant waiting to be seated. I noticed the twinkling lights when a little girl started to jump around to make them flash. I loved them! The same week, I hit the mall to buy a pair that happened to be Ava’s first sneakers at 18-months-old. No two Twinkle Toes are alike which make them the perfect fashion sneaker to suit each little fashionista’s unique personality. Pictured above, is Ava wearing her newest pair, Lite Dreamz 2. They retail for $42.00 online. Celebrity children have also taken to the Twinkle Toes line. Jennifer Lopez and Mark Anthony’s daughter, Emme was recently spotted in a pair while out in Los Angles with her twin brother Max. She wore the Club Twinkle – Road Trippers sneaker which have a cheetah design. Check out more styles at Skechers. 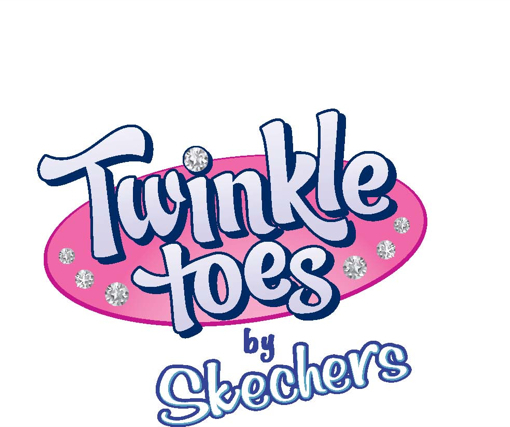 Celeb Baby Laundry is giving (2) lucky readers the chance to win a pair of Twinkle Toes. Each winner can choose the shoe that will best match their child’s fashion personality. The address of the winner will be shared with Skechers for the purposes of sending the sneakers. Disclaimer: Celeb Baby Laundry has not received any payment as a result of this review. All products featured must meet Celeb Baby Laundry’s standards. All opinions are our own.